The weather may be less than the usual in terms of winter driving with a lack of snow and ice on the ground but that doesn’t mean you shouldn’t be prepared in case. New York weather has the tendency to change when least expected. Having a vehicle ready for such changes can mean the difference between being to work on time or getting the whole family to the destination without any incidents. 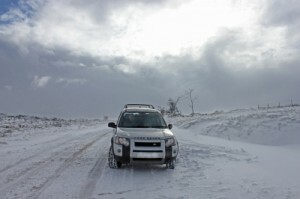 Here is some tips on how to be ready for winter driving. A major things to be sure is ready for the ice and snow. Tires are keeping you on the road and ensuring your have grip when most needed. Check over the tires to see how mean the summer was on them and to see if any of the tread has been lost. Also make sure that the tire is properly inflated. There is nothing worse than being caught in a snowstorm with broken wiper blades or lack of wiper fluid. Ensure that the fluid is filled to maximum as there will be a lot used to clean up the mess of snow and dirt that always ends up on the windshield. Be sure that the wiper blades are functioning properly and are properly wiping away the grime. If not, now is the best time to pick up some new ones. This is something to help both you and the other drivers. Headlights should be cleaned and providing plenty of light to see through any flurries. This will also make sure that if someone is having a tough time seeing on the road, they’ll be able to make out your headlights on the road ahead and can avoid a collision. Headlights and taillights should be bright and clean for the winter. There’s only so much that technology can do to help protect us on the road. At some point, it does fall on the driver to be ready for the random things that can occur. They are the ones to be on the look out for black ice or to know how to properly steer during a spin-out. A driver who is going to be out during bad weather must be aware of how to handle driving emergencies when they happen. As always, there are plenty more that we didn’t get to that can be done to better a vehicle in preparation of the winter weather. These are simply ones that are very common and most drivers don’t take handle until after they become a problem. Follow these tips and you’ll find yourself being proactive and having much better chances to have good travel during the winter. To schedule your vehicle for a complete check-up, contact our service department at Bayside Chrysler Jeep Dodge.